For the best experience, we recommend to install JoinControl. 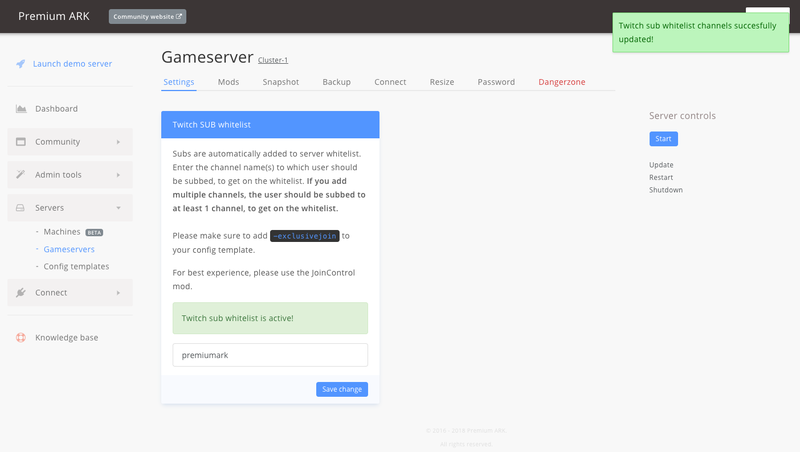 The Twitch whitelist is fully automated. It does not require Streamer actions, so you no longer have to worry about syncing the whitelist for players! 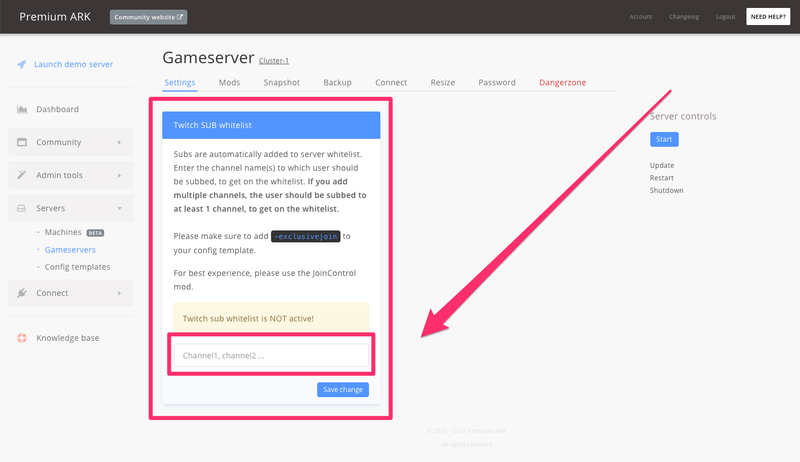 Go to the gameserver overview page, and click the name of the gameserver. To activate the Twitch sub whitelist, please enter the name(s) of the channel(s) where the Twitch user should be subscribed to, to be added to the whitelist. Make sure to save the changes when you are done. If you want to install JoinControl, please continue with the Setup JoinControl whitelist for your server. How do your subs connect? Share the link to your community website with your sub. On the setting page, they can connect their Twitch account. They will automatically be added to your whitelist.